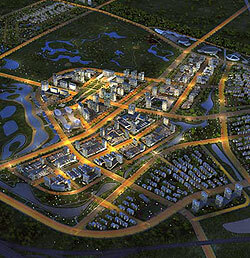 Formerly a county, Daxing was recognized as a district in April 2001. Famous for its watermelons, Daxing’s industries centre on the distribution of consumer goods and food, servicing Beijing’s affluent districts. A laid-back, casual area, Daxing’s settlements were mostly built by country folk, looking for greater opportunities in the big city. The district has industrial and agricultural sectors. Beijing’s second airport will be built in Daxing.